Even with all of the 4G goodness around the country, sometimes it never comes through effectively in the areas and times when you need it the most – and at that point, some of us may begin to crack under the pressure of being data-less. Well, if constant data connectivity is something you crave, specifically something that’s fast and reliable, the updated Boingo Wireless app for iOS will surely make it quick and easy for users to connect to a hotspot. LOS ANGELES – Jan. 29, 2013 – Boingo Wireless (NASDAQ: WIFI), the Wi-Fi industry’s leading provider of software and services worldwide, today announced the release of an enhanced version of its award-winning Wi-Finder app for Apple’s iOS 6 operating system. The updated app leverages new features in iOS 6 to simplify the connection experience for users of iPhone, iPad and iPod Touch devices, and makes it easier than ever to get connected to Boingo hotspots. The Wi-Finder app for iOS 6 now automatically notifies users that Boingo can be used when the device connects to a Boingo hotspot and identifies Boingo networks in the Wi-Fi settings when several networks are available. Boingo subscribers can also enable automatic login for participating Boingo hotspots, making Internet access fast, easy and seamless on an iOS 6 device. For the first time, the enhanced Wi-Finder app for iOS makes it easy to identify a Boingo hotspot at a glance in the Wi-Fi Settings menu. Boingo hotspots – including more than 125 partner networks – are automatically tagged with “Use Boingo Wi-Fi Here!” to help users find the right network the first time. The new Wi-Finder app also allows Boingo subscribers to automatically log in when they are in supported Boingo hotspots. By selecting “Enable Auto-Login” in the app’s settings, subscribers can bypass the login process, and accelerate their on-ramp to the Internet in select hotspots that are included in their monthly plan. The app will not automatically log in to hotspots that will incur premium charges. Boingo’s smart client for iOS 6 devices also simplifies the login process at Boingo hotspots. Wi-Finder uses the iOS 6 notification service to alert users that Boingo Wi-Fi is available when the device connects to a Boingo-enabled network. Getting online is as easy as tapping the notification to launch the app and log in. The enhanced Wi-Finder app for iOS 6 still offers users the features that earned it the 2012 About.com Readers’ Choice award for “Best Travel” app, including a built-in, customizable data tracker that helps users manage data usage by keeping tabs on cellular and Wi-Fi usage. The app also lets users secure their connections on public Wi-Fi networks with the Boingo VPN. Free to subscribers, the Boingo VPN offers a one-click simple security option when users are on an open network. The app also connects to more than 600,000 Boingo premium hotspots worldwide with a single Boingo account. The app’s location directory includes more than 150,000 additional free hotspots that have been validated by Wi-Finder users through a crowd-sourced approach. Boingo Wireless, Inc. (NASDAQ: WIFI), the world’s leading Wi-Fi software and services provider, makes it easy, convenient and cost-effective for people to enjoy Wi-Fi access on their laptop or mobile device at more than 600,000 hotspots worldwide. With a single account, Boingo users and Boingo’s wholesale partners can access the mobile Internet via Boingo Network locations that include the top airports around the world, major hotel chains, cafés and coffee shops, restaurants, convention centers and metropolitan hot zones. Boingo, through its Concourse Communications Group subsidiary, operates Wi-Fi and/or Cellular DAS networks at large-scale venues worldwide such as airports, major sporting arenas, malls, and convention centers, as well as restaurants and retail establishments. The company’s Cloud Nine media platform enables brand advertisers to reach a captive audience through high engagement Wi-Fi sponsorships. 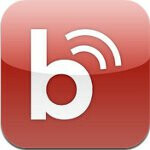 For more information about Boingo, please visit http://www.boingo.com and http://cloudnine.com. Boingo, Boingo Wireless, the Boingo Wireless Logo and Don’t Just Go. Boingo. are registered trademarks of Boingo Wireless, Inc. All rights reserved. All other trademarks are the properties of their respective owners.